Cruz Quiroz Hernandez, 95, of Coleman, died Thursday, April 4, 2019 at Bangs Nursing Home in Bangs. There will be a prayer service 7:00 p.m. Friday, April 5, 2019 at Stevens Funeral Home Chapel with a visitation to follow. Funeral service will be 2:00 p.m. Saturday, April 6, 2019 at Stevens Funeral Home Chapel, 400 West Pecan Street, Coleman, with Pastor Carlos Chavez officiating. Burial will be in the Coleman City Cemetery. Services are under the direction of Stevens Funeral Home. She was born Cruz Teniente Quiroz on November 3, 1923 in Muzquiz, Coahuila, Mexico to Alfonso Quiroz and Juanita Teniente Quiroz. She grew up and attended school in Mexico. 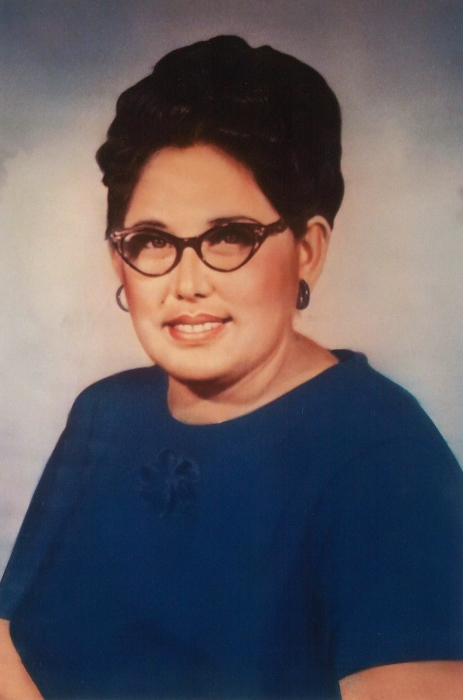 In 1947, Mrs. Hernandez came to the United States and has been living in Coleman ever since. She did domestic work for people in Coleman and was a member of East Coleman Baptist Church, know called Primera Iglesia Bautista. Survivors include seven children, Ramiro Ramos of Ocompo, Coahuila, Mexico, Gustavo Ramos of Abilene, Oralia Ramos Palua of Muzguiz, Coahuila, Mexico, Rudy Carrillo of Winters, Norma Diaz of Bangs, Ociel Carrillo of Bryan and Israel Carrillo of Coleman. Also surviving are 42 grandchildren, 102 great grandchildren, several great-great grandchildren and many nieces and nephews. She was preceded in death by four children, Manuel Ramos, Olga Ramos, Rebecca (Becky) Carrillo, Jose Luis Carrillo; three sisters and three brothers. Memorial donations in memory of Mrs. Hernandez may be made to the donor’s favorite charity.